The Community Foundation of the Great River Bend has a new name: the Quad Cities Community Foundation. The name—and new identity—is part of the Community Foundation’s ongoing passion for, and commitment to, the Quad Cities region that it has supported for nearly 55 years. With $143 million in assets and nearly $73 million in grants awarded since its inception, the Quad Cities Community Foundation is ramping up its efforts to ensure that generosity is always alive in the community. Community Foundation President and CEO Sherry Ristau said the heart of the organization is still very much rooted in empowering every person in the Quad Cities region to learn more about generosity, and live it out. “We are excited about the future of the Quad Cities Community Foundation, not because we have a new name, but because we recommit every day to the vital mission of transforming our region through the generosity of our donors,” she said. The Community Foundation will continue to offer opportunities for donors to give to support the causes and nonprofits they care most about, grant funding for nonprofits in Rock Island and Scott Counties to strengthen their critical work, Transformation Grants that move the needle off the status quo, and scholarship opportunities for students to continue their education. The Community Foundation will also continue to support communities beyond the Quad Cities through its Geographic Affiliate Funds and Community Funds, which allow communities to start and grow endowments for the benefit of their towns and counties. Community Foundation Board Chairperson Jill McLaughlin said the decision to launch a new name and identity came after thoughtful discussion about the unifying spirit of the Quad Cities, and ongoing efforts to take a leadership role in the Quad Cities’ regional vision. The announcement comes during Community Foundation Week, a time when the nearly 800 community foundations across the country raise awareness for the vital investments they are able to make thanks to the generosity of donors who work with them to live out their charitable giving. The work of the Quad Cities Community Foundation was started in 1964 in Davenport by a group of engaged community leaders, including Bea Conrad and John Nagle. It was initially called “Davenport Area Foundation” and focused on meeting needs in Davenport. It made its first grant a year after it was started and continued to grow over the years. Thirty years later, the organization was renamed the “Community Foundation of the Great River Bend” as it began to expand its regional footprint. Under the leadership of current President and CEO Sherry Ristau and a dedicated team of professionals and volunteers on the board of directors and staff, endowed assets and planned gift commitments have continued to grow, and new grant programs—like the two $100,000 Transformation Grants awarded each year—have been started. 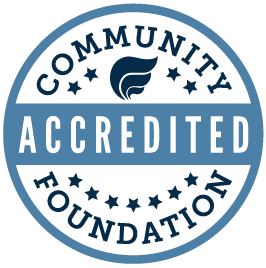 The Community Foundation has also increased its leadership role in the community, participating in initiatives that move the dial on some of the region’s most pressing issues and promising opportunities today.